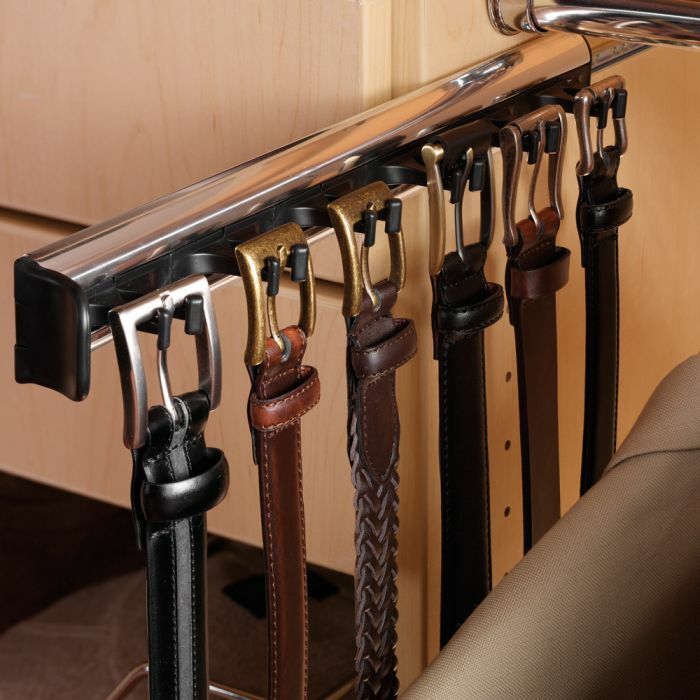 This Slide-Out Belt Rack from Hafele tucks your belt collection into a narrow space, yet provides easy access with the 3/4 extension slide. With hooks for six belts, plus plenty of room for stacking, you won't have to sacrifice selection for the sake of order. Choose from three finishes to match other Hafele Synergy accessories. Anodized aluminum with black plastic hooks.